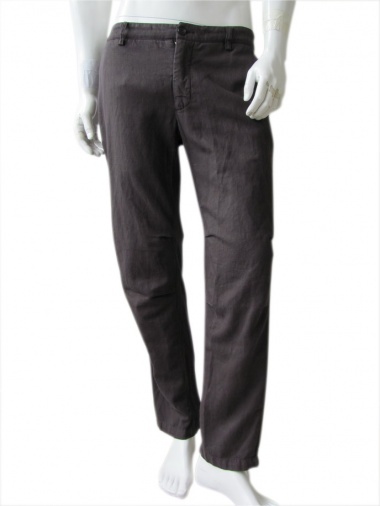 Pant 65% Cotton 35% Flax by Nicolas & Mark - Clothing Men Pants On Sale. Dark grey pant, with french pockets and jetted pocket back. Regular fit leg.